On June 30, 1917 President Wilson signed an executive order seizing German boats in American territory. This was de jure seizure, de facto seizure of the vessels occurring immediately after the Declaration of War in April. I am surprised by the number of them, considering that the War had been raging since 1914 and the Allies controlled the seas. Joint Resolution Authorizing the President to take over for the United States the possession and title of any vessel within its jurisdiction, which at the time of coming therein was owned in whole or in part by any corporation, citizen, or subject of any nation with which the United States may be at war, or was under register of any such nation, and for other purposes. Resolved by the Senate and House of Representatives of the United States of America in Congress assembled, That the President be, and he is hereby, authorized to take over to the United States the immediate possession and title of any vessel within the jurisdiction thereof, including the Canal Zone and all territories and insular possessions of the United States except the American Virgin Islands, which at the time of coming into such jurisdiction was owned in whole or in part by any corporation, citizen, or subject of any nation with which the United States may be at war when such vessel shall be taken, or was flying the flag of or was under register of any such nation or any political subdivision or municipality thereof; and, through the United States Shipping Board, or any department or agency of the Government, to operate, lease, charter, and equip such vessel in any service of the United States, or in any commerce, foreign or otherwise. Sec. 2. That the Secretary of the Navy be, and he is hereby, authorized and directed to appoint, subject to the approval of the President, a board of survey, whose duty it shall be to ascertain the actual value of the vessel, its equipment, appurtenances, and all property contained therein, at the time of its taking, and to make a written report of their findings to the Secretary of the Navy, who shall preserve such report with the records of his department. These findings shall be considered as competent evidence in all proceedings on any claim for compensation. I think the Fourth of July is a good time to recall the price paid to establish our liberties. It is trite to say that freedom is not free, but it is also true. A people who forget this eternal lesson will not remain free for long. Here are my top ten choices for movies about the American Revolution for Fourth of July viewing. 10. Ben and Me (1953)- Something for the younger patriots. Disney put to film the novel of Robert Lawson, Ben and Me, which related how many of Ben Franklin’s bright ideas came from his mouse Amos. Quite a bit of fun. Not a classic but certainly an overlooked gem. 9. The Crossing (2000)-A retelling of Washington’s brilliant crossing of the Delaware on Christmas 1776 and the battle of Trenton. This film would rank much higher on my list but for Jeff Daniels’ portrayal of Washington as sullen and out of sorts throughout the movie. Washington had a temper, and he could give vent to it if provoked, although he usually kept it under control, but the peevish Washington portrayed here is simply ahistoric and mars an otherwise good recreation of the turning point of the Revolution. 8. John Paul Jones (1959) Robert Stack, just before he rose to fame in the Untouchables, is grand in the role of the archetypal American sea hero. Bette Davis is absolutely unforgettable as Catherine the Great. The climactic sea battle with the Serapis is well done, especially for those pre-CGI days. The only problem with the film is that many of the details are wrong. This is forgivable to a certain extent since scholarship on Jones was badly skewed by Augustus Buell in a two-volume “scholarly biography” which appeared in 1900. Buell was a charlatan who made up many incidents about Jones and then invented sources to support his fabrications. Buell was not completely exposed until Samuel Eliot Morison, Harvard professor of history, and an Admiral in the Navy, wrote his definitive biography of Jones. Here is a list of the fabrications of Buell compiled by Morison. Morison’s book appeared after the movie, which is to be regretted. 7. The Patriot (2000) Finally, a film which depicts the unsung contribution of Australians to victory in the American Revolution! Actually not too bad of a film overall. Heath Ledger is quite good as Gibson’s oldest son who joins the Continentals at the beginning of the war against his father’s wishes. Jason Isaacs is snarlingly good as the evil Colonel Tavington, very loosely based on Banastre Tarleton, commander of Tarleton’s Raiders during the Southern Campaign. The film of course allows Gibson to carry on his over-the-top vendetta against all things English. No, the British did not lock up American civilians in churches and burn them alive. However, the ferocity of the partisan fighting in the South is well depicted, and Banastre Tarleton at the Waxhaw Massacre earned a reputation for slaughtering men attempting to surrender. The final battle of the film is based on the battle of Cowpens where General Daniel Morgan decisively defeated Tarleton. 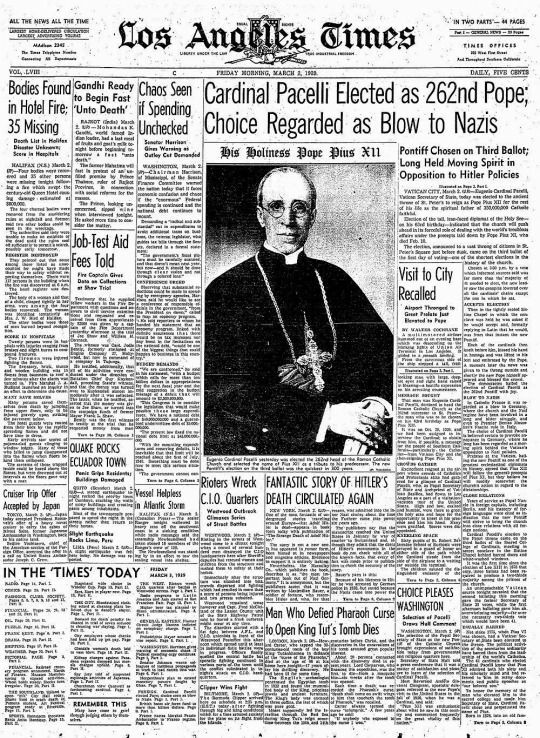 To Our Beloved Sons: William O’Connell, Cardinal Priest of the Holy Roman Church, Archbishop of Boston, Dennis Dougherty, Cardinal Priest of the Holy Roman Church, Archbishop of Philadelphia, and to all the Venerable Brethren, the Archbishops, Bishops and Ordinaries of the United States of America in Peace and Communion with the Apostolic See. John Kass, the only reason to read the Chicago Tribune, has a column calling for the dissolution of the failed State of Illinois. Go here to read it. 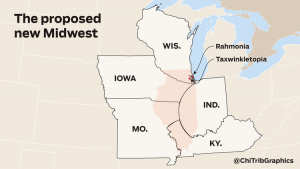 I see my chunk of the State would go to Indiana. 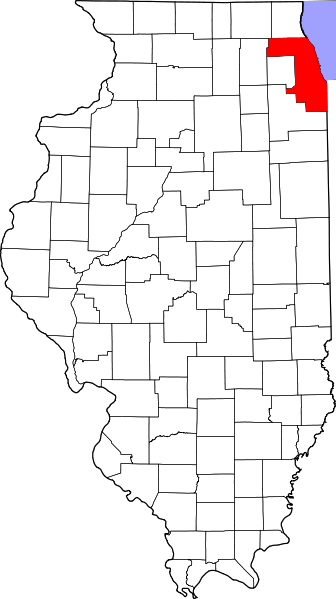 I could live with being a Hoosier if it meant being out from under the thumb of Cook County. 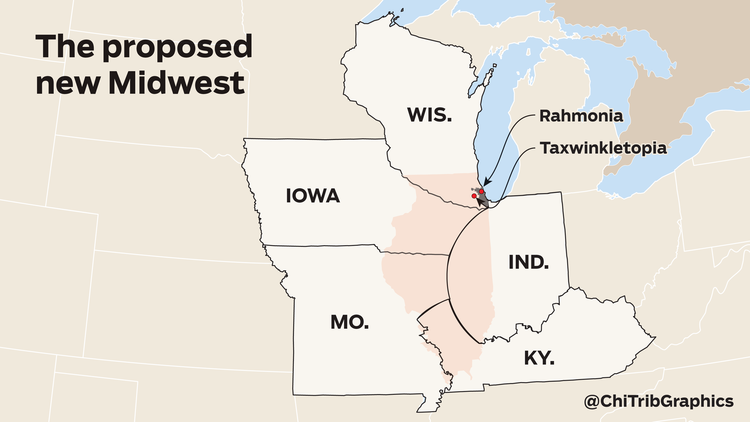 My preferred solution of course would be Illinois separating into two new states: The Land of Lincoln and Cook County. Alternative names would be God’s Country and Hell. 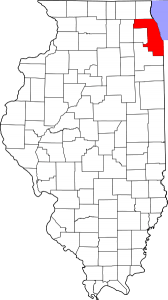 on June 27, 2017 at 5:30 am Comments Off on Dissolve Illinois! A skilled engineer, General William Sibert led the First Division initially in France during World War I. Sibert was an engineering officer who had won accolades for his work on the construction of the Panama Canal Zone. In 1915 Congress had promoted him from Lieutenant Colonel to Brigadier General. However, the Army Corps of Engineers at that time was authorized only one general. Sibert thus found himself at age 55 suddenly an infantry General who had never led an infantry unit or been in the infantry. The Army put him in command of the West Coast artillery where it was reasoned an inexperience general could do little harm. However in 1917 he suddenly found himself in command of the infantry units that landed in France on June 26, 1916 and which would eventually make up the First Division. Sibert had a great deal of doubt as to whether he was suitable for this command. Eventually Pershing shared his doubts, and along with several other general officers, Pershing relieved him in January 1918 prior to the First Division before the Division began duty in the trenches. Pershing bore Sibert no ill will, understanding that he was not responsible for the attempt by Congress to force a round peg into a square hole. When the Chemical Warfare Service was created later in 1918, Pershing recommended Sibert to command it in the continental United States, which he did. After retirement as a Major General, Sibert would go on to work as an engineer in Mobile, Alabama and he served on the Presidential Commission which led to the construction of Hoover Dam. He died in 1945. 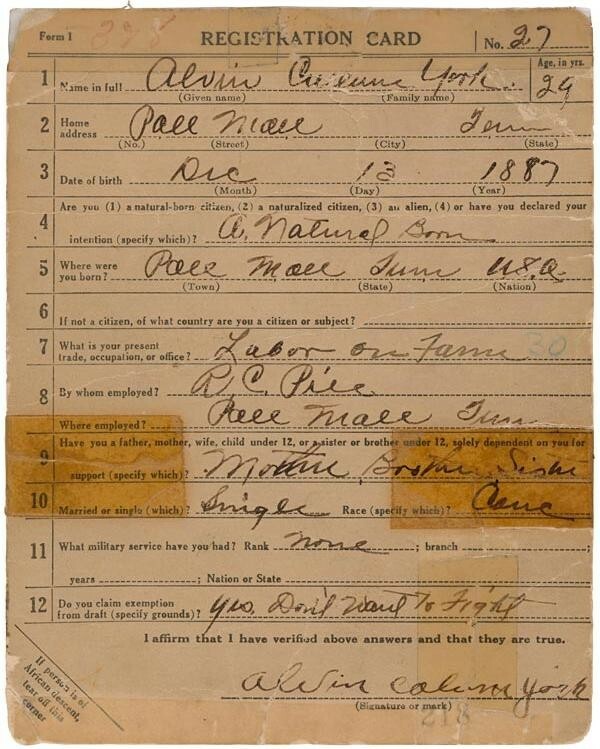 Two of his five sons would go on to be Major Generals in the Army. What constitutes the bulwark of our own liberty and independence? It is not our frowning battlements, our bristling sea coasts, the guns of our war steamers, or the strength of our gallant and disciplined army. These are not our reliance against a resumption of tyranny in our fair land. All of them may be turned against our liberties, without making us stronger or weaker for the struggle. Our reliance is in the love of liberty which God has planted in our bosoms. Our defense is in the preservation of the spirit which prizes liberty as the heritage of all men, in all lands, every where. Destroy this spirit, and you have planted the seeds of despotism around your own doors. Something for the weekend. George M. Cohan wrote Over There, the song which will always be associated with America in World War I. He was immortalized by James Cagney in the 1942 film biopic Yankee Doodle Dandy. Dying on November 5, 1942 of stomach cancer, Cohan saw the film shortly before its release in a private screening. I do not know if the ending of the film in the clip brought tears to his eyes, but it always does mine. Cohan wrote the song in under two hours on April 7, 1917, two days after the US declared war on Imperial Germany. Over There would be introduced to the public during a Red Cross benefit in New York City during the fall of 1917, and swiftly became the American anthem for the war effort. 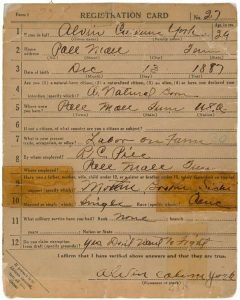 Son of Union veteran Jeremiah Cohan, who lied about his age to serve as a Union surgeon’s orderly during the Civil War, Cohan attempted to enlist during World War I in the Army but was rejected due to his age. I have always liked this song. It has a brash exuberance matched with a determination to accomplish a hard task, traits which have served the US well in dark times. We could use much more of that spirit today. on June 24, 2017 at 5:30 am Comments Off on Over There! York arrived in this world on December 3, 1887, the third of the eleven children of William and Mary York. He was born into rural poverty. Although both of his parents were quite hard-working, the Yorks lived in a two-room log cabin at a subsistence level. None of the York children received more than nine-months education, as their labor was desperately needed to farm the few hard scrabble acres that the Yorks owned, and to hunt for food to feed the large family. When his father died in 1911, Alvin took on the responsibility of helping his mother raise his younger siblings, and supporting the family. Alvin early developed the reputation as both a hard-worker during the day and a drunken hell-raiser at night, something that constantly distressed his mother, a Christian and a pacifist. I loved this station sign off back in the seventies. May God bless America and may America become worthier of that blessing. Instead of Flag Evolution I would call this Flag Revolution. The American Revolution is ongoing, as our experiment in democracy continues down the years. My Fellow Citizens: We meet to celebrate Flag Day because this flag which we honour and under which we serve is the emblem of our unity, our power, our thought and purpose as a nation. It has no other character than that which we give it from generation to generation. The choices are ours. It floats in majestic silence above the hosts that execute those choices, whether in peace or in war. And yet, though silent, it speaks to us. —speaks to us of the past, * of the men and women who went before us and of the records they wrote upon it. We celebrate the day of its birth; and from its birth until now it has witnessed a great history, has floated on high the symbol of great, events, of a great plan of life worked out by a great people. We are about to carry it into battle, to lift it where it will draw the fire of our enemies. We are about to bid thousands, hundreds of thousands, it may be millions, of our men. the young, the strong, the capable men of the nation, to go forth and die beneath it on fields of blood far away, —for what? For some unaccustomed thing? For something for which it has never sought the fire before? American armies were never before sent across the seas. Why arc they sent now? For some new purpose, for which this great flag has never been carried before, or for some old. familiar, heroic purpose for which it has seen men, its own men, die on every battlefield upon which Americans have borne arms since the Revolution?